Since July, political ads have flooded Alabama airwaves, and politicians, have made several public appearances that have become national news. 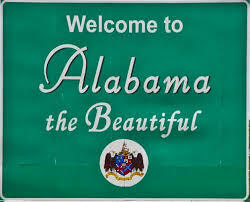 And after months of campaigning, controversies, and speculation, the 12.12.17 Alabama Special Election to fill the U.S. Senate seat vacated by Jeff Sessions has finally arrived and Alabamians are having our say. I reside in Talladega, Alabama and began volunteering for the Doug Jones campaign during the three-week period leading up to election day. Many outside the state of Alabama inaccurately believed Doug Jones’ campaign neglected African-American voters, but as a volunteer I knew this was not true. The strategic organization of everything was very impressive, and structurally grassroots. I spent hours phonebanking, and along with my children, knocked on over 100 doors, even in the snow. This opportunity put me in contact with individuals from around the state excited to support Doug Jones’ campaign, which has re-ignited my political and organizing fire. Doug Jones and the impossibility of his movement inspired many, myself included, in a way the last presidential campaign did not. Throughout election day, I have visited various polling stations around Talladega and have been energized by the large turnout, especially among African-Americans of all ages. People who have not voted since Obama was on the ballot came out to let their voices be heard, which I count as a positive sign for my candidate; but we shall soon see. As I finalize the last revisions to this editorial, Alabamians have a few more minutes to cast their ballots, however this vote is about more than an elected office, it is about the soul and legacy of a state. The 12.12.17 Alabama Special Election is as dichotomous as an election can be, pitting the ominous past against the limitless future. One candidate is aligned with the tenets of the Ku Klux Klan, while the other went down in history for prosecuting the Klan. Yet no matter which party wins, it is clear, a familiar spirit has been awakened throughout the state which is ushering in a new era.